Jorge Cervantes, a pseudonym for George Van Patten, is a world-renowned expert on indoor, outdoor and greenhouse cannabis cultivation. 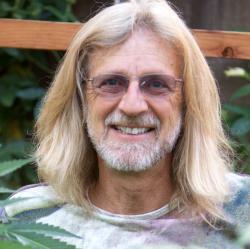 His articles, books and YouTube videos have helped teach millions of people to grow top-quality cannabis. Connect with Jorge on his site, www.marijuanagrowing.com. Producing marijuana seeds at home appears simple at first glance, but genetics are complex. Get info on hermaphrodite plants and generating cannabis seeds. Our expert grower is asked: ‘Can cannabis flower have a chemical taste if it contains nutrients added to aid growing?’ Get info on fertilizers and flushing. Purple marijuana explained: Learn about the plant pigments known as anthocyanins and the other factors behind purple weed. Electricity use from lights is much lower in a greenhouse because the lights are turned on fewer hours per day and used for only half of the year. If you are wondering how to grow marijuana outdoors, here are some tricks from cultivation expert Jorge Cervantes to give your marijuana plants the best chance. How to get rid of spider mites on marijuana plants: Spider mites adapt to pesticide controls quickly. Using a full arsenal of methods is key. Master cannabis cultivator Jorge Cervantes names the five best marijuana strains in the United States, according to him. How to germinate cannabis seeds: Mother Nature takes care of most of the work, you just need to provide a few simple things. How to plant weed seeds: It’s go time! Get your soil ready and sterilize those tweezers — baby seeds can’t be exposed to too much light and air. Cannabis Cultivation Q&A: Harvesting your cannabis crop is the reward for all the fun you had growing it! Here is the basic information you need on how to harvest weed. Cannabis Cultivation Q&A: It’s one of the most eagerly anticipated moments for a grower — here’s the skinny on knowing when to harvest marijuana. Cannabis Cultivation Q&A: If you’re looking for results by growing a marijuana plant in a plastic cup in a sunny window, have low expectations. Or try this strategy. Cannabis Cultivation Q&A: Extending the harvest period over a few weeks encourages the plant to develop its lower buds. For someone who has never grown weed and is curious about where to begin, here’s a quick take from a pro on the easiest way to grow marijuana. A reader wonders about potential benefits and harms of moving a cannabis plant that primarily is grown indoors so that it also receives natural sunlight.